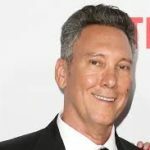 Three years after buying the iconic Full House home for $4 million, show creator Jeff Franklin is putting it back on the market for an unspecified sum. The news, which was first reported by the San Francisco Chronicle, comes only three years after Franklin bought the San Francisco home that had been featured in the opening credits of the sitcom, which ran on ABC from 1987 to 1995 before returning on Netflix as “Fuller House” two decades later. At the time, he had painted the front door of 1709 Broderick to the red color originally featured on the show. He also expressed plans to turn it into a full-on homage to the Tanner family by inviting fans inside for tours and potential filming. Neighbors, however, were less than amused — many complained that an already-popular San Francisco photo destination was attracting hordes of traffic and fans. As a result, Franklin decided to fully renovate the 1883 Italian-Victorian home. He added a lower level for an extra bedroom, bathroom, den and dry bar. The plan now is to list the property by the end of April, although the price of it has not yet been announced. The house, originally with three bedrooms, will be listed as a four-bedroom with three-and-a-half bathrooms. Cindy Ambuehl, the Compass listing agent selling the house, told Mansion Global that the new buyer will not have to worry about encountering hordes of fans as people only occasionally stop by to take pictures of the house. “It’s not a mob of 20 people out front—it’s like one or two [fans], then later one or two more,” Ambuehl said. As more time passes, the house may attract only the most dedicated fans. Fuller House, the show’s modern Netflix spin-off, is airing for its fifth and final season this fall. Lori Loughlin, who played Aunt Becky in both the original and the spin-off, has also been one of the people the Justice Department named in the college admissions scandal that revealed parents paying bribes in exchange for admissions. Franklin, who never lived in the house but bought it due to its connection to the show, remodeled it in an effort to suit a modern San Francisco lifestyle. But that doesn’t mean all traces of the show are gone — the house still has cast members’ handprints set in stone in the back of the house.